The best way to remember a live show that reached out, grabbed you and left its mark? A beautiful, well designed concert poster. Hero Design Studio is a husband and wife team dedicated to producing handcrafted illustration and design. 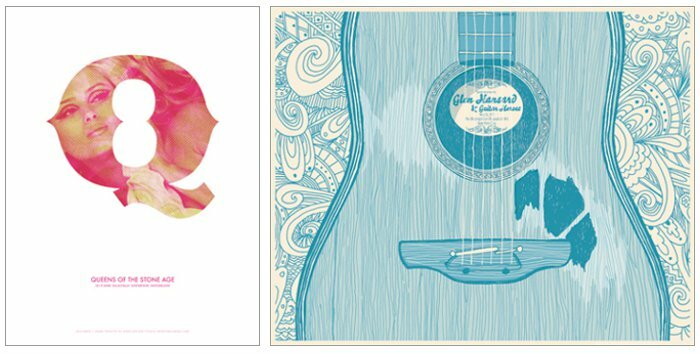 They've designed concert posters for some of the biggest names in the music industry and their work is inspiring. 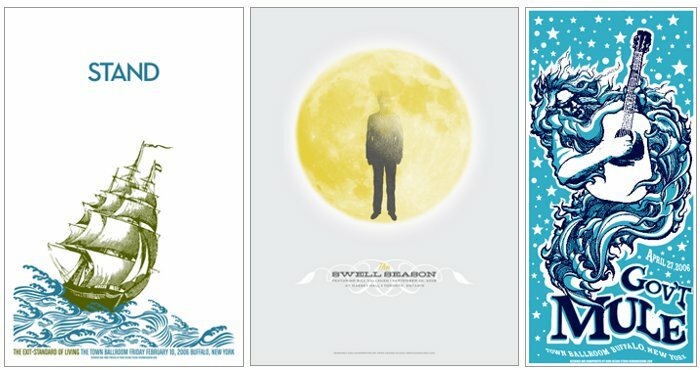 Above is a collection of the concert posters I fell in love with when I stumbled upon their shop. 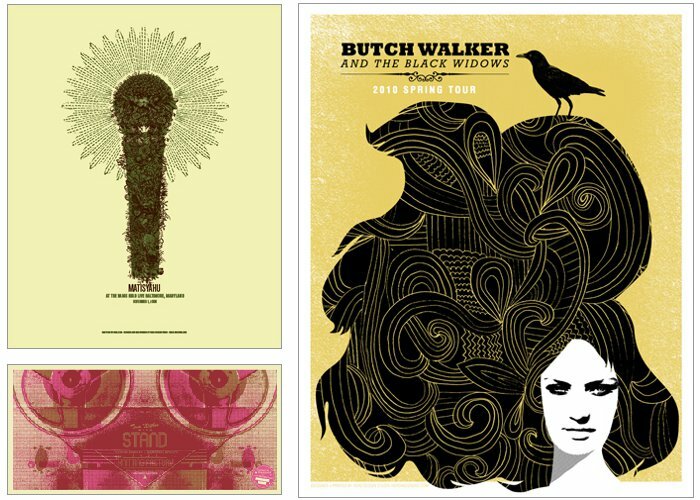 I particularly admire the Matisyahu and Butch Walker and The Black Widows posters. All posters and additional work can be found in Hero Design Studio's online shop. these are beautiful. my favorite is the blue of one of the guitar. Hi Hannah - I love that one too. The color is so beautiful and the artwork is amazing. I was lucky enough to see Glen Hansaard perform once where as I haven't seen any of the other bands whose posters I chose.